Whether you use your motor home for an occasional weekend trip or you spend the majority of your time traveling in it, you still have to eat three meals a day. Eating out is okay occasionally, but doing it too often can kill your budget in a hurry. It can also have a long-term effect on your health that could keep you from traveling as much as you would like. A better solution is to find motor home accessories for your kitchen that allow you to eat homemade meals as often as possible. Pancakes are an easy meal for breakfast, lunch, or dinner that everyone seems to like. However, making them usually requires a large mixing bowl that you may not have space for while traveling. 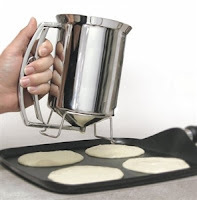 You can simplify the job with a pancake batter dispenser that is small enough to hold in your hand. Another bonus is that the dispenser automatically measures the right amount of batter so you don't end up with pancakes that are too thick or too thin. Everybody needs their vegetables, but when in a small camper or RV, steaming them on the stove top can make it very humid and uncomfortable inside. The Jobar Microwave Steamer allows you to steam them in your microwave, which is also faster. This product can also be used to steam shellfish and much more. A microwave pressure cooker allows you to lock in the natural flavor of your food with the convenience of faster cooking. Since it holds up to 10 cups, you can prepare a meal for your entire family and then have more time to sit down and enjoy it. RVupgrades.com carries a complete line of kitchen accessories for your motorhome. Please contact us to learn more about our products and competitive pricing. The carpet inside your RV needs vacuumed on a regular basis; however, until now it was quite a cumbersome chore to do this. 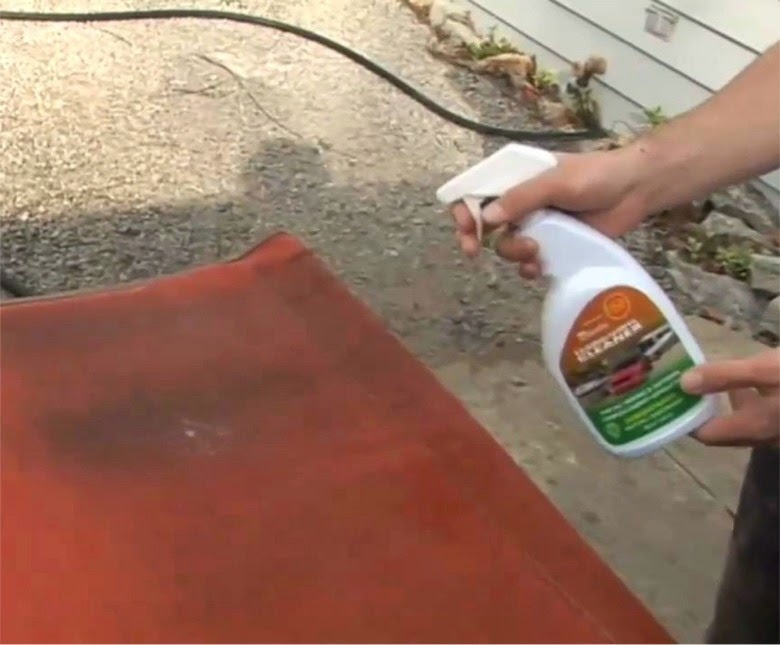 Today, RV central vacuum systems make it easier than ever to keep your recreational vehicle clean, and here are some reasons why you should consider installing one. Perhaps the biggest reason for installing a central vacuum system is the fact that they take up very little space. You’ll be able to ditch your upright vacuum cleaner and use the storage space for other items that are more important. 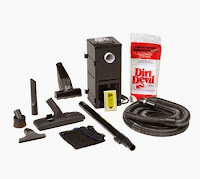 With a central vacuum system you will never have to wait to clean up messes, until you get home from your trip. If someone tracks mud or dirt you can vacuum it up right on the spot or if you spilled something in the kitchen, sweep it up. When traveling, you may find that certain areas have more pollen than others, which means you will need to vacuum more frequently in order to keep your allergies at bay. If you travel with pets, you’ll find this vacuum especially handy, since you can sweep up dog and cat hair easily. As a result, you’ll be able to enjoy your trip more as well. No matter how big or small your RV is, the Dirt Devil CV1500 central vacuum system will work perfectly for inside your RV. These units are also easy to install, and can be expected to last for many years once they are purchased. We also carry all the replacement parts for the system. Contact us today if you have any questions about a RV Central Vacuum System. Regardless of whether you’re planning on adventuring over the winter or planning for adventures for the summer, it’s a good idea to check out some RV accessories you could use for getting power on the road easier. Here are a couple of ideas. 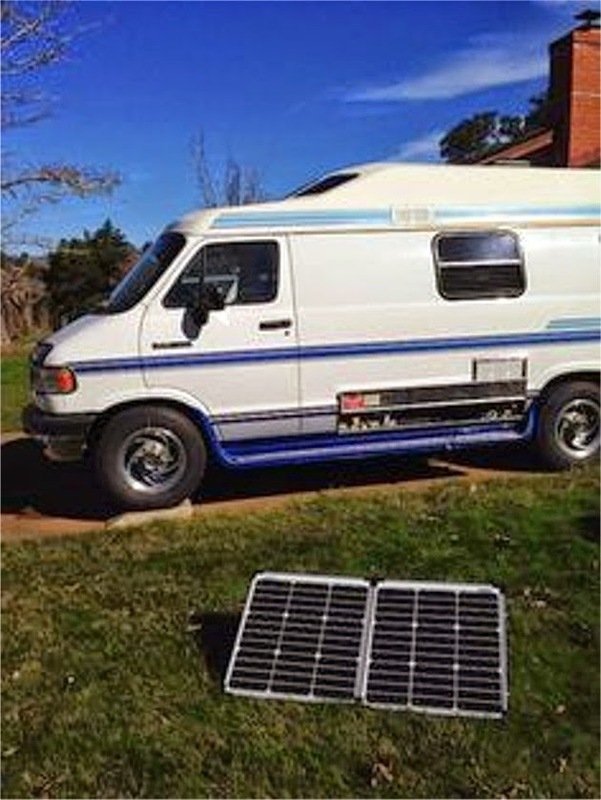 A good solar kit suitable for an RV will have a solar panel for starters. Ideally, it should be capable of helping to provide energy for your 12 volt battery. The kit should be lightweight and small in size so you can easily fit it wherever you want to in your vehicle, and move it around as needed. It also helps if the kit you get also comes with adapters for using it with 6 volt batteries as well as a USB adapter so you can hook it up to any type of device that uses a USB port such as a phone or tablet. Chances are good that you’ll be heading to sunny locales with your RV, so a solar kit is going to go a long way to making your power needs easier when you’re on the move. Check out our Zamp Solar Products that have everything you need to power your RV. Another good way to get electricity to where it needs to go on a much bigger scale is with an inverter generator. The amount you need will depend on what you’re running in your RV, but a 1000 watt generator can often help power devices such as computers, TVs and audio devices. We carry a wide selection with different sizes and wattage. For more information about getting energy for your RV, please feel free to contact us today.